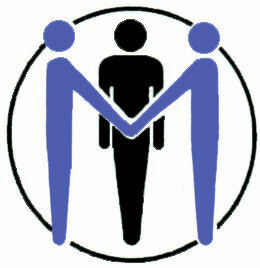 Counselling is perceived as an intimate encounter between counsellor and client. Person-centred counselling, in particular, is based on a facilitating environment created by the counsellor, in which there is empathy, unconditional positive regard towards the client, and genuineness. Throughout my experience as a trainee counsellor, I have been provided with the privilege of being exposed to a variety of clients, issues, defences, apprehensions, and relationships. Nevertheless, one situation that I have never encountered is the need for a third party to be present in the counselling session. With the exception of specific fields such as family and couples’ therapy, counselling often takes place with two people in a room – the client and the counsellor. Even when more than one client is present, such as with family therapy, all of the individuals in the room tend to be active participators in the counselling process. One exception to this notion, however, is the presence of a third party that is not a client. Such a third party can be a translator, in the event that the client and counsellor do not speak a common language, or a signer in case the client is deaf and the counsellor does not know sign language. Other possibilities include a caretaker, should the client be unable to function alone, or a service animal such as a Seeing Eye dog. Although the third party facilitates the therapeutic work through translating or mediating, this third party poses some difficulties vis-à-vis maintaining the principles of client-centred counselling – especially confidentiality and the development of a strong therapeutic alliance. There is some debate as to the efficacy of translator-mediated therapy. Such instances may occur with clients who are new immigrants and don’t have sufficient grasp of the English language. The National Institute for Clinical Excellence (NICE, 2005) recommend the use of interpreters with non-English speaking clients. Others, however, argue that interpreted psychotherapy disempowers the client and can hinder the basic requirements of trust and confidentiality (d’Ardenne, Ruaro, Cestari, Fakhoury, & Priebe, 2007). In this sense, needing a third party in the room might actually act as a barrier to some clients accessing counselling with agency settings – either because they don’t want a third party present or the agency doesn’t work with third party’s due to its potential impact on the therapeutic process. In addition to the possible breach of confidentiality and the basic feeling of trust and intimacy, I would like to propose that specifically for person-centred counselling, the presence and use of a translator or interpreter hinders the basic element of genuineness – another barrier to some clients accessing counselling. They might be able to physically access a service, but not be able to access it at the deeper level that comes from genuineness within the therapeutic encounter. Sincerity and sentiments are conveyed through words as well as through tone of voice and body language. While a non-English speaking client may be able to discern tone of voice and body language of a counsellor speaking in English, the use of specific wording is important. When a conversation is being mediated by a translator, the genuineness of the language and wording is lost, and this may even change the meaning of what was said. The therapeutic relationship has become a key aspect of my work – it is at the core of the healing process and something that I work on from the outset. When I imagine a third party being in the room with my past and present clients, I can’t help but feel there would be a huge hindrance to developing the therapeutic relationship – especially in cases where historic trauma is being shared for the first time. Many clients will be coming from environments where there are externally and internally imposed conditions of worth, and it will be hard for them to shed this and be congruent with me if someone related to that environment is also in the room. Equally, I think I would feel more restrained (somehow) and less able to get to know the client in an authentic way. This makes me question, however, whether this should be the case or whether maybe this is something I need to challenge in myself. After all, one day I might need to work with a third party in the room, and it could be my own preconceived ideas about such a situation that act to hinder the development of a therapeutic alliance and therefore prevent the client truly accessing the services I am offering. In conclusion, person-centred counselling is based on a mutual feeling of trust and intimacy, facilitated by unconditional positive regard, empathy and genuineness on behalf of the therapist. The presence and use of a third party during counselling may be the only way in which an individual can receive the help they need, but I do wonder if it comes at a cost to forming a strong therapeutic alliance. d’Ardenne, P., Ruaro, L., Cestari, L., Fakhoury, W., & Priebe, S. (2007). Does interpreter-mediated CBT with traumatized refugee people work? A comparison of patient outcomes in East London. Behavioural and Cognitive Psychotherapy, 35(03), 293-301. National Institute for Clinical Excellence (2005).Post-traumatic stress disorder (PTSD): The management of PTSD in adults and children in primary and secondary care. Available online: http://www.nice.org.uk/guidance/cg26 [accessed September 9, 2014].